Director Ang Lee’s gorgeous-looking adaptation of Life of Pi is shaping up to be a major awards contender this year, but official word has now come down that the film’s biggest star has been cut from the film. Lee filled his international cast with relative unknowns, but he went with Tobey Maguire to tackle a small role as a writer who interviews the protagonist. We’d heard rumblings that Maguire was no longer in the film, and THR now confirms that the role was recast after the director felt that Maguire’s performance “wasn’t working.” Hit the jump for more. It’s hard to argue with Lee’s logic, and I doubt the film suffers without Maguire in what sounds more like a cameo role than anything. 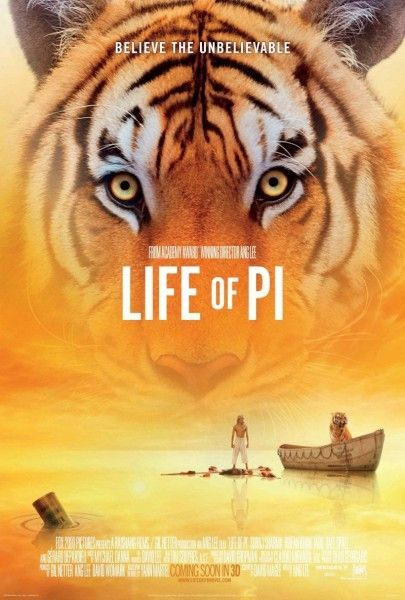 The 3D pic looks wildly ambitious, and we’ll have the first reactions to the finished film when Life of Pi opens the New York Film Festival on September 28th. The drama then opens nationwide on November 21st.